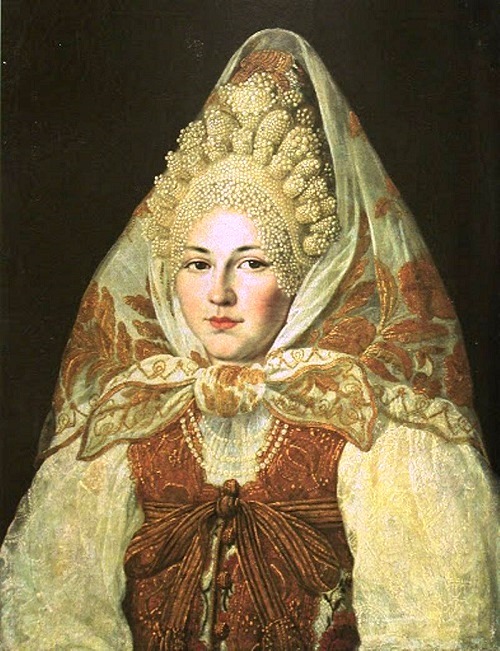 Sometimes, in the paintings of the classics of the 19th century, you can see the most common Russian women – peasant or boyaryshnya (wealthy woman), in a beautiful headdresses decorated with pearls, pearl necklaces, strings of pearls – large, white, very beautiful, the same as Russian North women were. Rich with black pearls were the Volga, the Biryuch River, Lake Onega, the river Valbuzha, Galmuzha, the Wichai stream, lake Vodla, the Vici. White pearls in large quantities was in the Novgorod region – Lake Ilmen, the rivers Zeleyka, Vadul, Onega, Iksa, Varzuga, Vaiga; in Voria – in the Bay of the White Sea; rivers Vetluga, Msta; lakes Prorva, the Terek River … Seliger coast of the Kola Peninsula, and the river Muna gave a lot of high quality pearls. 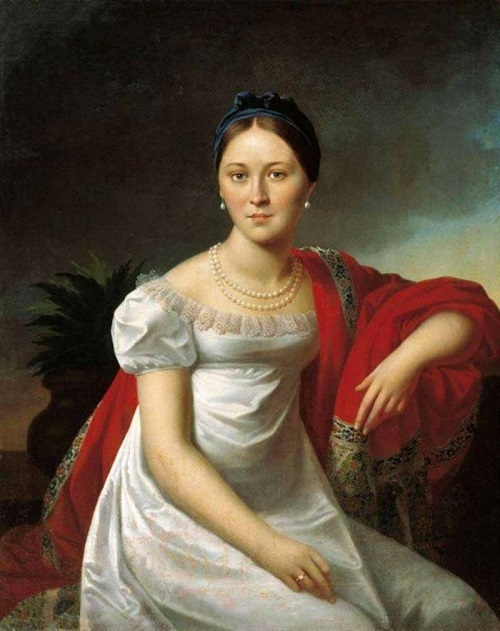 Foreigners were stunned with the abundance of pearls in Russia. 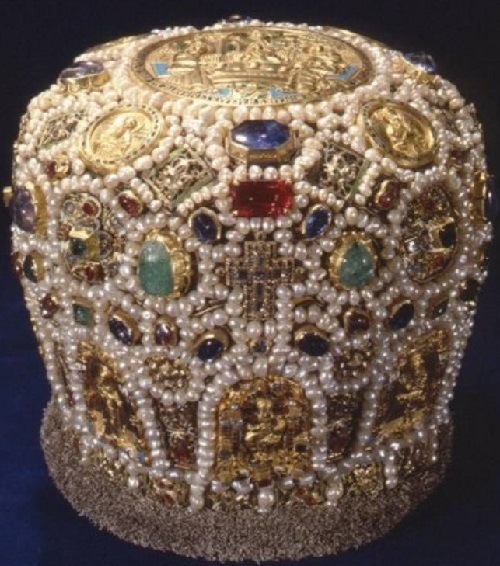 In the nineteenth century, Baron August von Haxthausen, after he had examined the treasury of the Trinity-Sergius Lavra, exclaimed: “It is difficult to count the pearls on the images and utensils from the Trinity, it would be easier to measure it with quadrangle.” The quadrangle – 36 liters and a quarter. 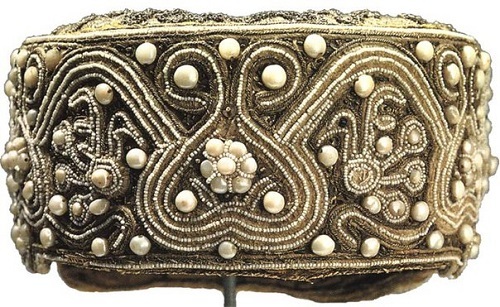 Therefore pearl decorations were common for peasant women. Pearls were harvested from the bottom of the rivers. This thoughtless fishing eventually completely exhausted pearl. Freshwater pearls cost inexpensive: for 60 grains of fine pearl paid 13 Altyn (Russian silver coins, 1 altyn equivalent to three kopek silver). 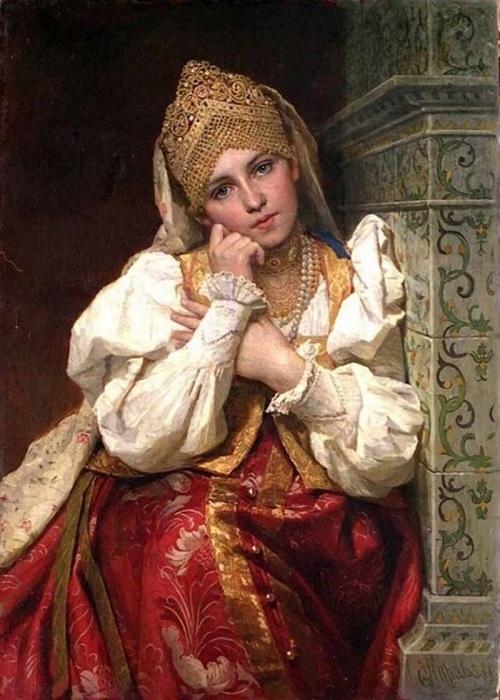 A woman in pearls was a truly inspiration for poets and artists. 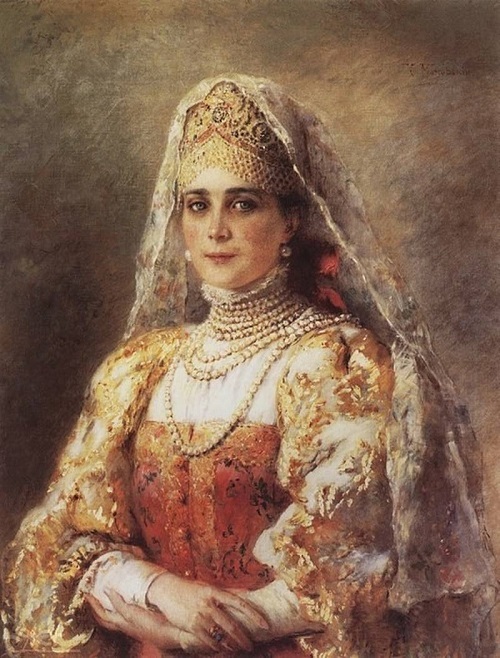 Riza, in which the king Fyodor Ivanovich was crowned tsar, was entirely of pearls and precious stones, and weighed more than 80 kilograms. 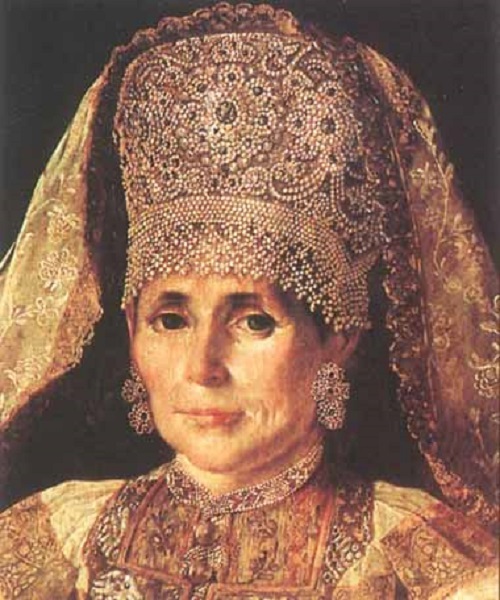 Pearly was surplices of Patriarch Nikon and other lords of the Russian Church. 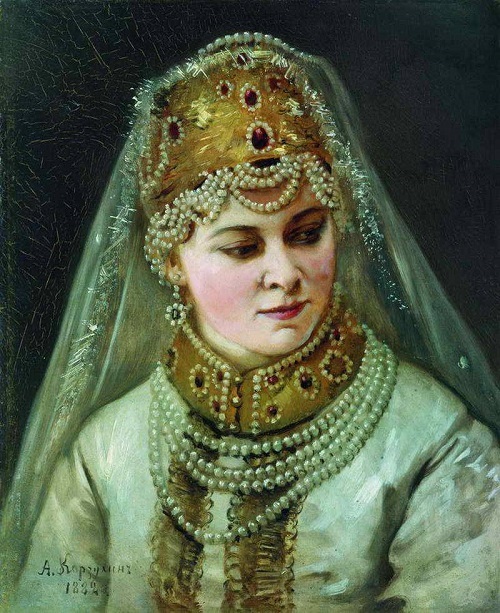 In Russia, in the production of pearls were mainly engaged monasteries, as well as private individuals. But in 1712 a decree was issued banning the individual pearling. 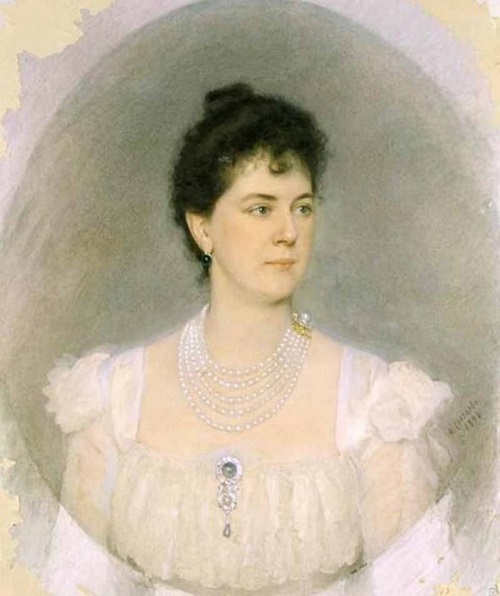 However, the expected result was not achieved, and the production was allowed once again, but introduced a rule – to hand over to the treasury the largest and clean pearls. 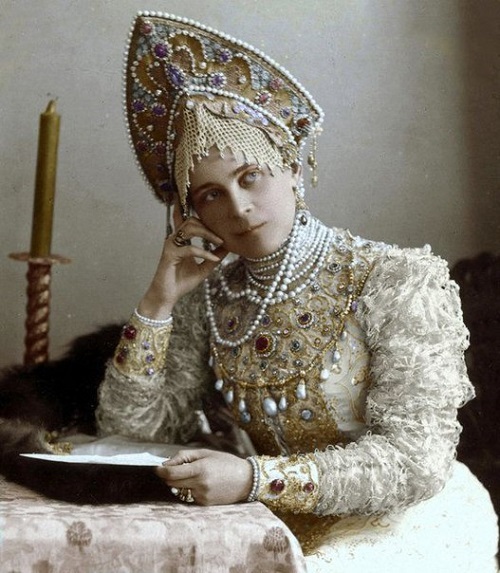 One of the long tradition of the royal House of Romanov was also associated with pearls. 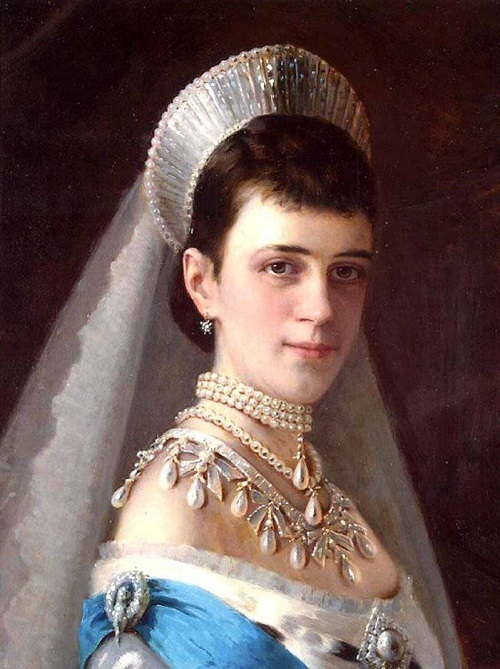 Each of the Romanov Grand Duchesses received on her sixteenth birthday two special gifts – a pearl and diamond necklace. 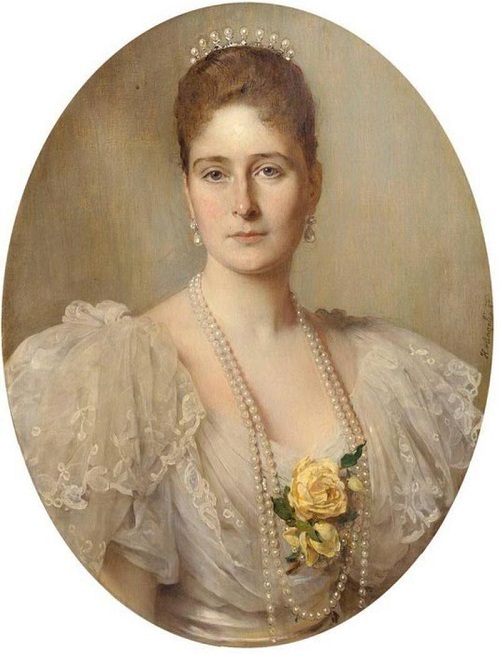 At the birthday party, Christmas and Easter, the daughter of the Romanov royal couple received pearl as a gift. By adulthood every girl became the owner of a beautiful string of pearls. Special luxury considered round, pear-shaped and teardrop-shaped pearl sea. 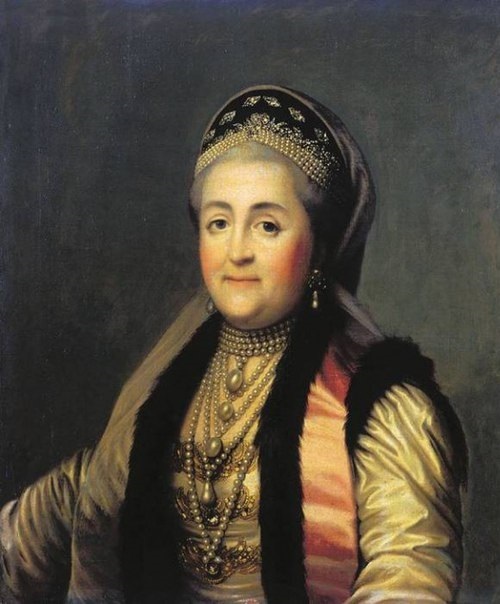 The portrait of the famous Russian artist Ivan Nikolaevich Kramskoi captured Empress Maria Feodorovna, wife of Alexander III, with neck pearl beads and chest decorated with a brooch with pendants of four large pear-shaped pearls. 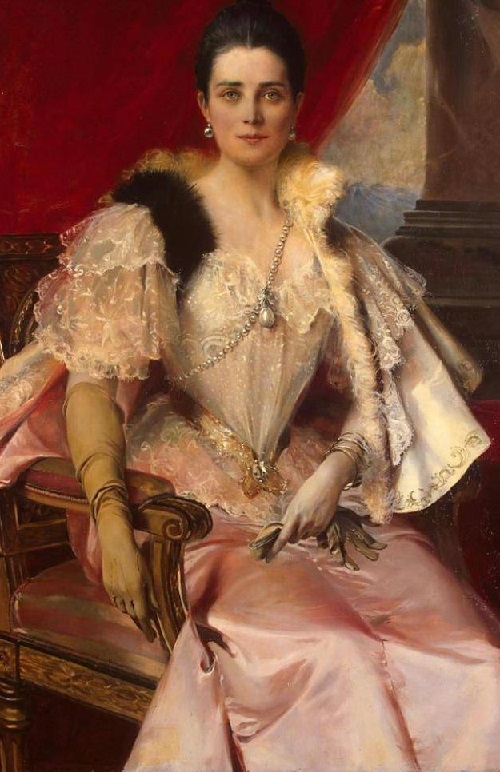 History of pearls started a long time ago, which once again proves the versatility of this jewel: they embroidered jackets and dresses of regal ladies, made bracelets and rings, tiaras and crowns of pearl. Pearl has gradually become a sign of belonging to an aristocratic society. So even there was a rule of court etiquette: ladies could not appear bare neck in the society. 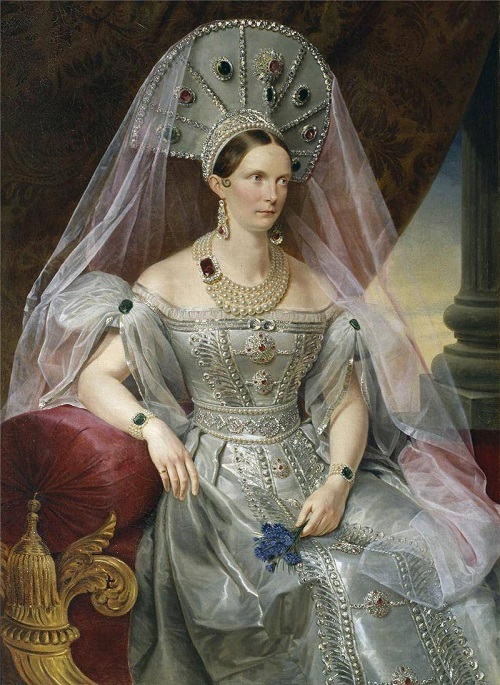 A chain with a pendant necklace – something had to be sure to put on. 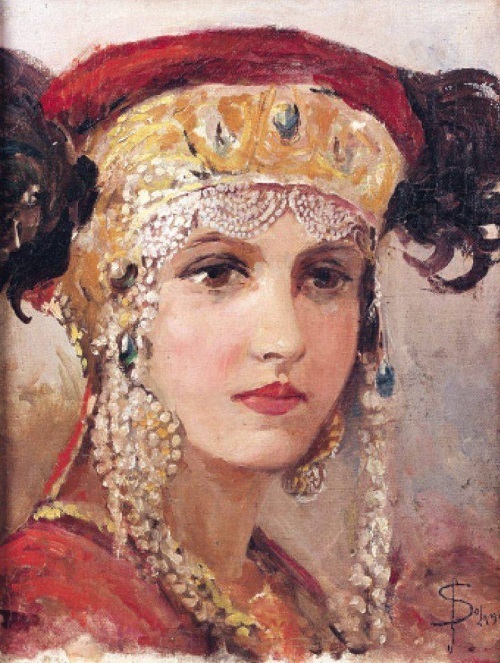 In Russia, the pearl appeared in the descriptions of the tenth century. 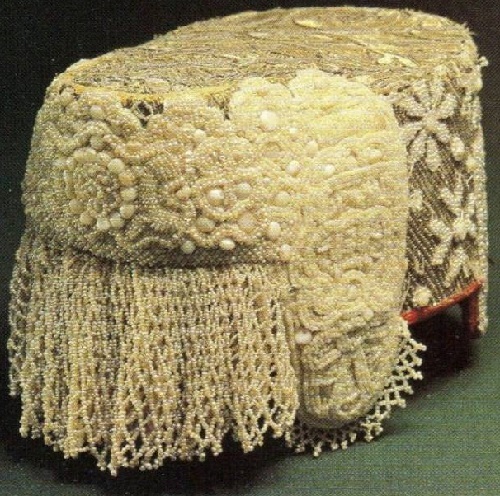 And since the 13th century pearl came into use for decoration of expensive clothes, women’s hats, and, of course, the clergy robes. 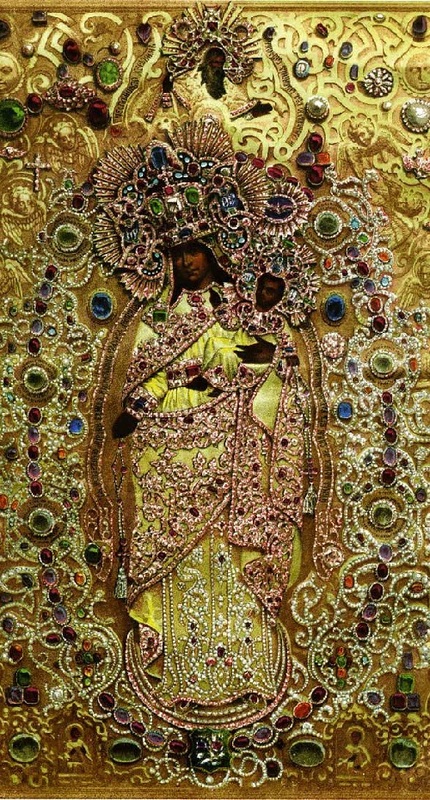 Subsequently, this material becomes a favorite gem of the church. This is logical, if we remember that many associated pearl with the revival, the birth and in general is the subject of the mysterious. Pearl got the name as a stone of the bride of Christ.